Are you a knitter looking for a new gift project to make? How about this one! 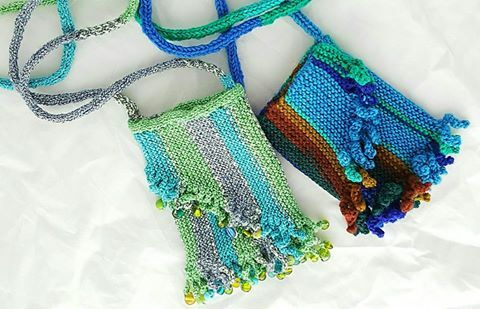 Class available at the 2016 Snake River Fiber Fest. For registration and more information, see www.srfiberartists.org. The 22nd Annual Snake River Fiber Fest starts Friday and runs through Sunday at Eastern Idaho Technical College, in the Alexander Creek Building. Friday is classes only, while Saturday and Sunday there will be vendors offering supplies for spinners, weavers, rug hookers and other fiber artists. Finished items and gift items will also be available. Registration for classes and additional information can be found on the Guild’s website, www.srfiberartists.org. If you need a spinning wheel or loom, they are available in limited quantity from the Weaving, Spinning & Fiber Arts Guild of Idaho Falls. Call Kate Wolski, (208) 521-5343. There will be a fashion show and spin-in Saturday night. Events begin at 6 p.m. with a potato bar and salad supper (drink included) for $10 in the Hope Lutheran Church School gymnasium, 2071 12th Street. A dairy-free, meat-free option will also be available. Sign up and pay on the registration form if you want supper or just come on over for the fashion show and the spin-in. The spin-in is set to begin around 8 p.m., with music by the Old Time Fiddlers. Dessert will be available on a pay-as-you-go basis. For more information, visit online at www.srfiberartists.org/2016_snake_river_fiber_fest. Members of the guild are fiber artists who specialize in spinning, weaving, knitting, crocheting & tatting. Members have all levels of experience, and are dedicated to teaching, learning and building skill in the fiber arts. Classes are often taught by well-known artists and authors who teach spinning, weaving, knitting, rug hooking, felting, beading and dyeing yarns and fibers. The guild rents a studio in Idaho Falls in the historic Idaho Professional Building, 482 Constitution Way, Suite B-11. Access is through the front entrance and parking is available in the adjacent lot near the side entrance.